Tesla has a very thorough process to determine what businesses are qualified to handle the precise process of collision repair. The job has to be done quickly and effectively while leaving no doubt with the owner. There should be no way of determining whether or not the vehicle was ever in an accident in the first place. When Tesla is shopping companies to add to their extended service program, they look for businesses with a proven track record along with the best examples of customer service. 1st Class immediately met and exceeded those expectations. 1st Class leads the collision repair industry by educating other industry professionals with repair documentation from the manufacturers, not from outdated estimate-procedure databases. The process starts with understanding the vehicle itself. Tesla combines casted, extruded and sheeted aluminum to add strength, so in the event of a collision, its frame protects occupants as crumple zones soften and absorb the impact. The result of those safety measures is a safe car that has a five and a half star rating. That is the highest safety crash rating ever achieved in a simulated test. That kind of advanced engineering requires our 1st Class technicians to work closely with the research of repairing an improving the Tesla, setting the mark for premium electric cars to come. The monocoque chassis, constructed of resin-bonded and riveted extruded aluminum, adds rigidity and strength to the lightweight package. The Tesla service strategy reflects the goal to take an uncompromising approach and hopes to set a new standard for the industry. Quality is our philosophy, and it is implemented into designed from the outset. As an industry leader, 1st Class will arrange state-wide pickup and delivery services for many makes and models. Time cannot be measured against quality. 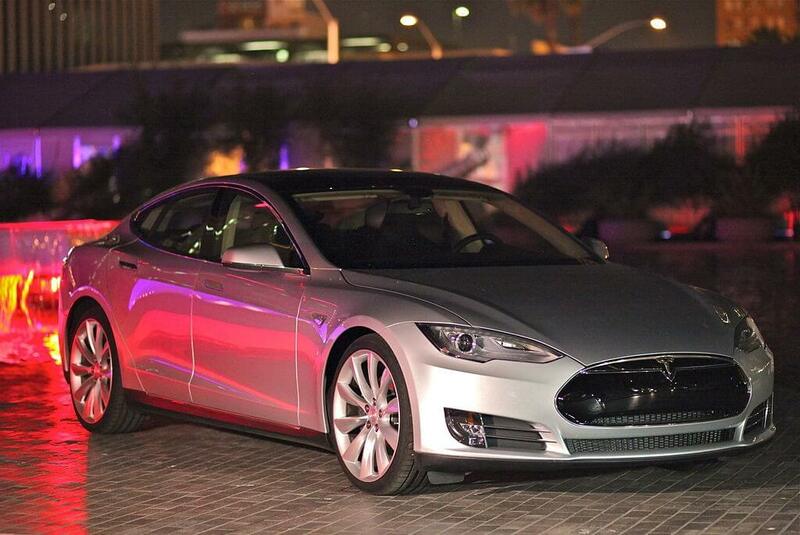 The electric Tesla Model S can reach 60 MPH in just 2.8 seconds. The Tesla model 3 can go at least 215 miles per charge. With the purchase of Solar City, Tesla hopes to integrate solar power into their cars.